Sanicle wrote: Thank you BB. That was so enjoyable to listen to. Brilliant narrator. 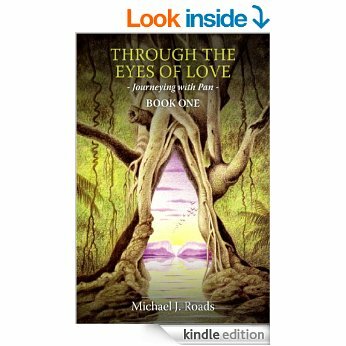 recommended ROC's work to me, when I recommended the book "Journeying with Pan" by Michael Roads. where I've stayed for 3 days in 1976.
village where I live, is a welcome and gentle nudge to be present fully in my skin, aware of this awareness. I am well thanks BB ............ getting lots of interesting confirmation of my experiences of late in unexpected ways actually. It's all good. As for you, I'm soooooooooo happy that you're living what sounds like a blessed existence at present. Good on you for working for it and making the move. Thanks for posting this my friend. Very interesting people. Why elves are REAL and directly related to the EL, the gods, aliens, annunaki, aesir, vanir, etc... this isn't a conspiracy. this is real. Another interesting video Mudra. Thanks again. IMHO all he 'proved' was that the many names we have in our current day for any of the beings who come from realms beyond our physical one, and therefore appear to have supernatural or godlike abilities, probably derived from the same etymological (?) roots. Could be he 'bent' a few 'facts' to fit with what he was saying but, for all I know, he might be right on the mark. There's obviously many years of study behind the claims he's making and all any of us can do is follow our own inner promptings in these areas and accept what 'feels right' to us as he is doing. Overall they all appear to add up to much the same thing anyway - more pieces of the jigsaw puzzle. From my own experiences I came to the conclusion long ago that there are many so-called 'gods' in the etheric realms. They are happy to refer to themselves as such as they see themselves as superior to us and others 'under' them and use the term as they wish us to see them as such also, but overall I get the impression it's just their word for 'boss' of some group or creative endeavor. Thanks also because, in going to YouTube, to watch this video, I found that there are quite a few new vids on this subject. I've added a couple I watched here as others with an interest in the subject might enjoy them too. The stories in them are intriguing. This first one is only six minutes long and tells of one chaps experience with what I took to be 'gnomes' of some kind. His story is repeated in the second video by another man who heard it (a little differently and without as much detail) and it's always best to get the story firsthand. Oh, and I'd ignore the 'Terrifying' in the title. A bit of sensationalism there methinks haha. This second video has stories of 'fairie' type encounters in the first fifteen minutes and he then goes on to tell some fascinating stories about peoples encounters with ghosts and spirits. This one is almost an hour long. Thank you Sanicle. I took the opportunity to watch the first one of these videos you posted. I found it touching to see the human giant's heart melting at the experience he made of an encounter with the little people. A state of total innocence I would say in deep resonance with Mother Earth's beat made it possible for this special portal to open. And how interesting him recounting the lady being trying to cut his shadow off. I also found a blog page on the site where other readers have posted their experiences with the fae which I quite enjoyed reading. Below is a sample .......... my fave story by a gentelman named Darrell. "Worn-In" Tiny Shoe Found In Ireland? Hey guys, so although the idea of leprechauns and fairies, is considered to be,, well, a fairy tale… There does exist a handful of very compelling artefacts, unearthed over the years, particularly within the United Kingdom… Which have suggested the existence of an elusive race of tiny people… and although they were presumably wingless, judging by the relics found, they would be so small, they could indeed be considered to look just like modern representations of fairies!... A worn-in, tiny shoe… found by a remote sheep farmer on an ancient trail within the Beara Peninsula in Ireland. Could this be a tiny person’s shoe? Black in colour, the craftmanship that had gone into creating the tiny piece of footwear, for our “giant hands,” would have been highly impressive, he was amazed to find that the shoe clearly shows signs of wear, particularly at the heel, in fact, although tiny, this shoe had indeed been well worn-in by someone no bigger than a pencil... The farmer eventually gave the shoe to the local doctor, and eventually it was passed to the Somerville family, the current whereabouts of the shoe is unknown, although it is rumoured that it is in Munster, in Ireland. At one point it was examined by scientists at Harvard University, they found it was indeed hand stitched, by tiny hands, using tiny stitches, and well-crafted tiny eyelets, it was also discovered to be made from mouse skin. The belief in fairies, or tiny humans, is known as “fairy faith” it is still found throughout Europe and the UK. In some parts of the world such as Iceland fairy faith is still very strong, artefacts left or given by these tiny people have been documented on several occasions. The fairy woman’s cloth of Bursta-fijall, is but one example of a gift from these tiny beings, According to the legend attached to the tiny, unique relic, the wife of the district police superintendent and public prosecutor at the farm of Bursta-fijall in Vopnaf-jordur, in the east of Iceland, received this cloth as payment from a fairy woman whom she had midwifed. The cloth is now in the National Museum in Rekjavik. Thor Magnusson, who is the president’s Custodian of Antiquities says, ‘Certainly it’s a unique cloth, There are some other ‘gifts’ too up and down the Atlantic coast of Europe including the flag of MacLeod, kept today at Dunvegan Castle… Stolen from a group of tiny warriors… In the fifteenth and sixteenth centuries, the flag was believed to bring luck to the clan, MacLeod even brought a picture of the flag on bombing raids in the Second World War… The most famous object is known as the “Luck of Eden Hall,” a cup that was won fairly from fairies, by a member of the Musgrove family. Today the cup stands, in the Victoria and Albert Museum. The cup, which is astoundingly beautiful, is surprisingly, of “eastern origins.” Although many of the things mentioned could, and have been put down to elaborate, yet entertaining hoaxes… The fairy or Leprechaun shoe found in the remotes of Ireland, is one of those extremely rare artefacts, that does indeed seem authentic… This may be why it is hidden away from certain individuals who would probably prefer it disappeared forever. Thanks for watching guys, and until next time, take care. I would so love to see those artifacts in real life to really examine them! It's times like this that I wish (again) that I lived in Europe somewhere where the 'little people' mostly seem to prefer manifesting. So many more historical remains of every type in the Northern Hemisphere. Thank God for TV, the Internet and YouTube, or this little Aussie would miss out on seeing these things altogether.